Nate is a creative ll year old in 6th grade who does horrible in school. He’s in this cartooning club called P.S.38. The cartoons he draws are super funny and creative. During P.S.38 he plays drawing games and Mr. Rosa the P.S.38 teacher teaches new ways to draw cartoons. Sometimes he draws cartoons to make fun of his sister Ellen, his dad, and his teacher Mrs. Godfrey. He’ll also draw cartoons about holidays, certain periods of time, and made up characters. Nate also plays football, basketball, soccer, and baseball. He is very athletic but he is easily distracted so that effects his gameplay. He also likes this girl named Jenny, but she dosen't like him so every time she gets hit on Nate either gets hit, something goes wrong, or he just gets rejected. His friends include Francis and Teddy. They mess with him, make fun of him, help him, give him important advice, and they’re always by his side. 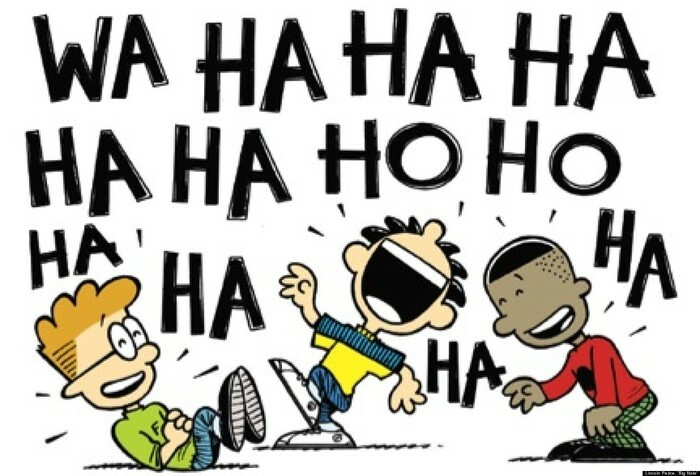 Big Nate, All Work and No Play is a super duper funny book full of comics that have weird pictures at the beginning of the page to show you what the comic is about. It’s very detailed, well drawn, and just plain good. 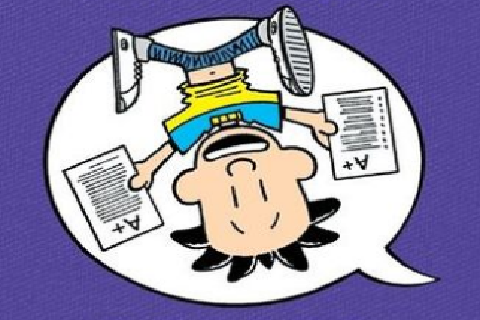 It also reminds me of Diary of a Wimpy Kid. Nate isn’t doing good in school. He never studies so he always flunks his test, but when Francis helps him study he completely changes the subject, then forgets what the question was. His locker is very messy, filled with so much paper that he has enough recycling for the entire next generation. It’s appropriate for all ages so anyone can read it. If you have a sense of humor then you will enjoy this book. 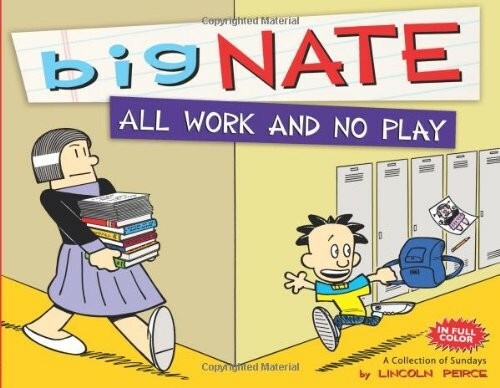 There is also more books to this series like Big Nate in a Class by Himself, Big Nate Goes for Broke, Big Nate on Strike, and more. Also if you like this book you’ll enjoy Diary of a Wimpy Kid.